Natale Patriciello received his M.S. with honors from the University of Bologna (Italy) in 2013, and his Ph.D. in ICT from UNIMORE (Italy) in 2017. 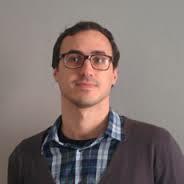 He has been involved in the EU FP7 Projects PPDR-TC, and during the years has successfully collaborated with the University of Roma Tor Vergata, the University of Napoli Federico II, and the University of Modena and Reggio Emilia. His research interests are in the area of computer networking and theoretical computer science, and his main publication categories are Computer Science, Engineering, and Mathematics. As of December 2018, his Scopus statistics show a total of 24 authored and co-authored papers, with a 5-years h-index of 8. He is active in the development of ns-3 (an open-source network simulator) and currently is the head of the TCP development. His other tasks include work in ns-3 LTE and NR module as a developer, and he is presently responsible for the git infrastructure. He also closely follows the Linux kernel networking stack evolution, with an emphasis on the TCP module. He implemented as Linux module a visionary TCP congestion avoidance algorithm, called TCP Wave. C. Augusto Grazia, N. Patriciello, T. Høiland-Jørgensen, M. Klapez, M. Casoni, J. Mangues, Adapting TCP Small Queues for IEEE 802.11 Networks , in Proceedings of IEEE International Symposium on Personal, Indoor and Mobile Radio Communications (PIMRC), 9-12 September 2018, Bologna (Italy). C. Roseti, A. Abdelsalam, F. Zampognaro, N. Patriciello, TCP Wave estimation of the optimal operating point using ACK trains , in Proceedings of IEEE International Symposium on Networks, Computers and Communications (IEEE ISNCC 2018), 19-21 June 2018, Rome (Italy).